Does Workers Compensation Cover Work Christmas Party Injuries? Home Blog Does workers compensation cover work Christmas party injuries? Work Christmas parties are a great time to let your hair down with your work colleagues, have a laugh about the funny things that happened over the year and celebrate achievements at work. But end of year work parties can have a dark side: things can get out of control, and people can get hurt. So what happens if you do get injured at the work Christmas party? Are you still covered by workers compensation? In most cases the answer is yes you will be covered as your employer’s liability extends to work functions. However, this is not always the case. Once employees leave the official function and move onto other venues compensation coverage may cease. And engaging in illegal or risky activities may also lead to the denial of compensation as the following examples show. In 2001, a salesperson was injured while driving home from a work Christmas party, but lost her claim for compensation on appeal. Normally, sales representatives who are given cars are considered to be covered by workers compensation from the time they leave home until they return. However, in this instance the employee was under the influence of alcohol and disobeyed her employer’s order not to drive in her inebriated state. 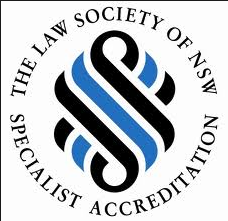 See Scharrer v The Redrock Co Pty Ltd  NSWCA 365 (20 December 2010). In another case from Queensland, compensation was not awarded to the family of an employee who died at a work Christmas party. Employees at the Christmas party were covered by workers compensation because the event was a work function. However, the employee engaged in risky behaviour at the party when diving into a river and so compensation was not awarded. See Australian Leisure & Hospitality Group Pty Ltd v Simon Blackwood (Workers’ Compensation Regulator) & Campbell  QIRC 105.